The chorion laeve forms from the mural (abembryonic) pole of the embryo trophoblast, and is the last portion of the embryo to be enveloped by the maternal decidua during implantation. 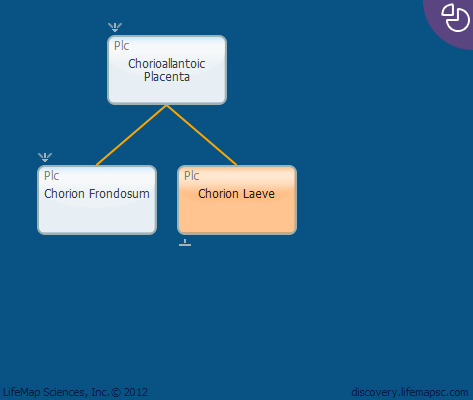 The chorion leave (together with the chorion frondosum) serves as the outer layer of the fetal placenta. Unlike the villous chorion frondosum, the initial villous protrusions of the chorion laeve degenerate following implantation, rendering the chorion laeve a non-villous membrane.